RCPW is your one-stop source for high-quality replacement Lawn-Boy lawn mower parts. We have been an authorized Lawn-Boy dealer for over 35 years and have been providing quality genuine replacement components and accessories to customers since 1980. We carry a full line of original Lawn-Boy parts to fit your old two-cycle or newer four-cycle lawn mower, zero-turn mower, or snowblower. We have a full line of replacement components and accessories for the entire line of power equipment, including mowers and snowblowers equipped with two-cycle and four-cycle engines. With over 1.2 million parts available, you'll always find what you need and save in the process. Why spend more when you can order from a trusted discount online store? Save your wallet from surprises and order online from RCPW. Call our friendly staff at 800-937-7279 with any questions. We can help you look up and order what you need so you can finish your repair. Not sure what you're looking for? 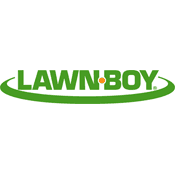 Browse all genuine Lawn-Boy parts here. Still can't find the right part for your equipment? Contact our expert team at 800-937-7279 and we'll help you find what you need. If you're stuck, visit our parts lookup. You can look up your Lawn-Boy parts by model or browse the diagrams to find what you need. There's many options to find your Lawn-Boy mower parts here at RCPW.